Researchers have made some important insights into the link between genetic diversity and the intricate changes in peptides (short proteins) bound to human leukocyte antigen (HLA) molecules that help the immune system identify foreign invaders such as viruses and bacteria. The study improved understanding of how the immune system is evolving to try different ways of presenting peptides, and how the genetic diversity of the human population has been shaped by pathogens. An international team of collaborators, led by Monash BDI’s Professor Anthony Purcell, demonstrated that even very minor changes in genetic sequences in HLA molecules can impact dramatically on immune function. The multidisciplinary team of researchers explored the impact of micropolymorphism on three closely related HLA molecules associated in different ways with drug hypersensitivity and HIV ‘elite control’ – where an individual’s immune system seems to help keep HIV infection at bay. 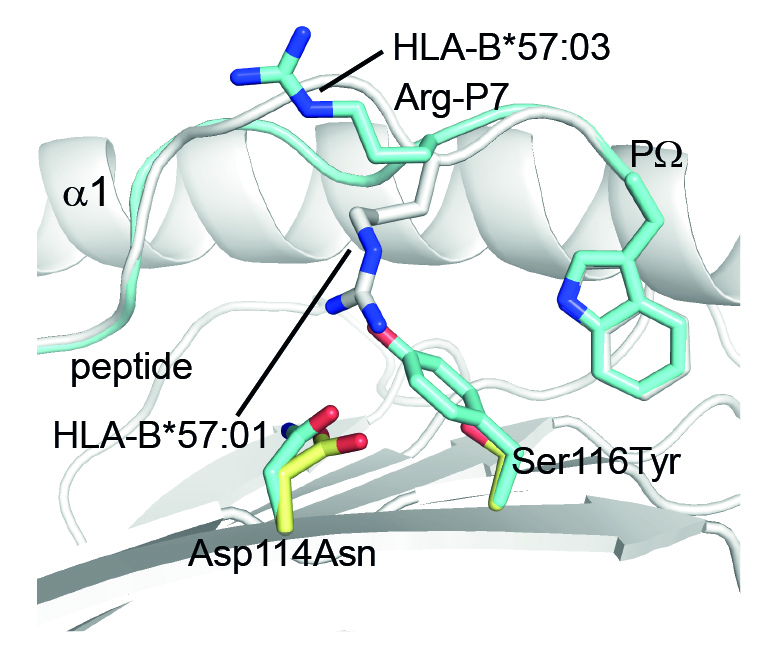 “The only difference between these HLA molecules is a few amino acids strategically placed in the clefts of these molecules where peptide antigens sit,” Professor Purcell said. “We knew there might be subtle differences in the sort of peptides bound to these molecules, but what we wanted to do in a systematic way was to understand what the differences are and what sort of functional impact the differences might have,” he said. “It’s striking the way that with such minor differences in the HLA you are getting both differences in the peptide interaction with the HLA molecule and also in the shape of the peptides, which makes it a drastically different target for the immune system,” Dr Patricia Illing, joint first author, said. Professor Purcell said the study, part of research spanning 25 years, provided fundamental insights that may help explain such processes as elite control in HIV or why individuals who have closely related HLA molecules can have problematic or ‘taboo’ mismatches in transplantation. “In my view, understanding how polymorphism impacts on antigen presentation or peptide presentation will actually aid the predictive tools that will be used to formulate vaccines, for example in cancer or infectious disease,” he said. “The study helps us to understand how the immune system is evolving to try different ways of presenting peptides, and how the genetic diversity of the human population has been shaped by pathogens,” he said. This is the second study published recently in which Professor Purcell and other researchers have made insights into peptides; another paper published in Science Immunology on ‘trans-spliced peptides’, highlighted the unanticipated diversity of the immuno-peptidome. Joint first author, Dr Phillip Pymm, conducted the structural work for this study under the instruction of Monash BDI’s Dr Julian Vivian and Professor Jamie Rossjohn. Professor Purcell and Dr Vivian were senior authors. Dr Hugo Hilton, then working in Professor Peter Parham’s laboratory at Stanford University, was instrumental in conducting statistical analysis.